Yes, I could have painted the legs – and may still do so at some point. But I wanted a fix for those legs now, with what I had to hand and do-able in the one hour freedom from the kids I had during nap time! 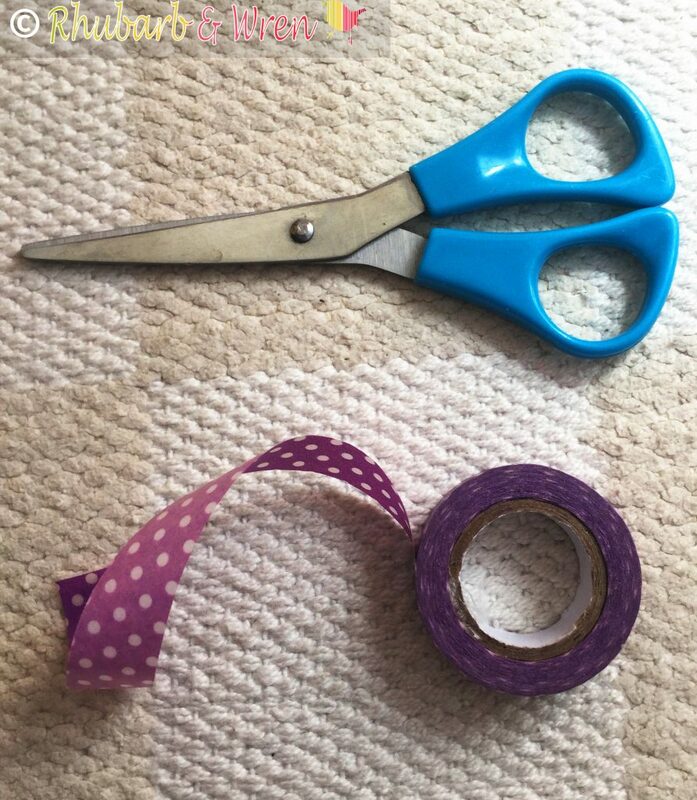 Scissors and washi tape are the only tools you’ll need. Half way through wrapping washi tape around those rather battered legs. 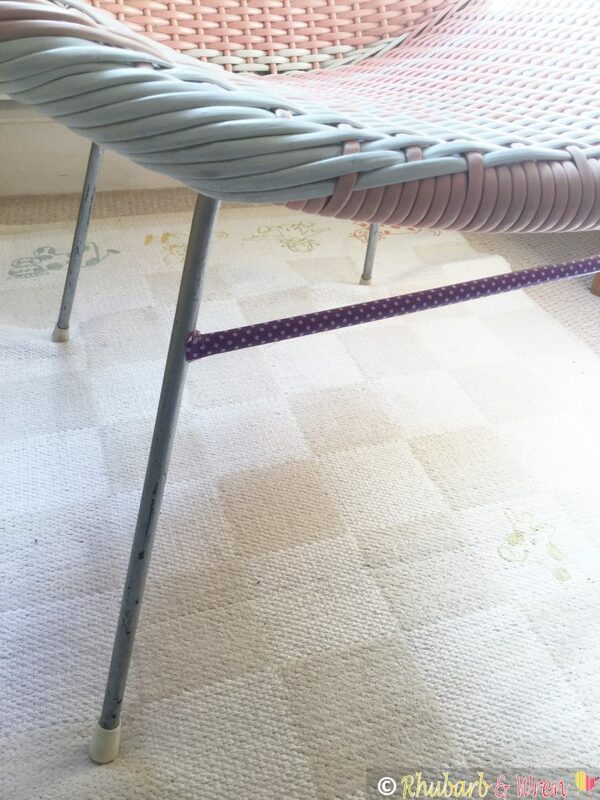 So, using a pair of scissors, I cut the washi tape into short strips and wrapped around the chair legs. Washi tape, I love you. 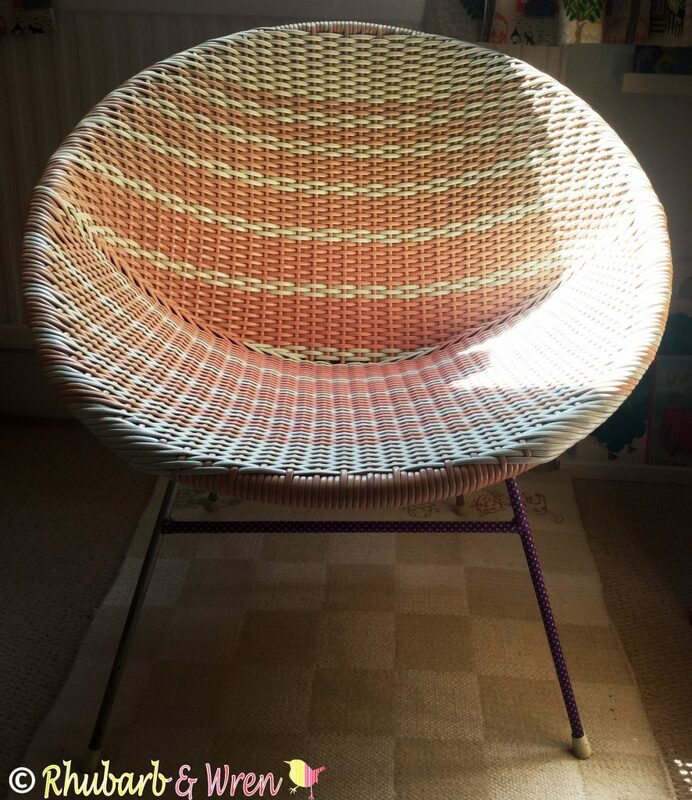 Sometimes, with vintage stuff, I feel like less is more – mess around with them too much and they can loose that ineffable something that made you fall in love with them in the first place.A good clean and and a quick cover-up (in funky polka-dot purple) was all this chair really needed to shine again. Washi tape legs on a vintage bucket chair.